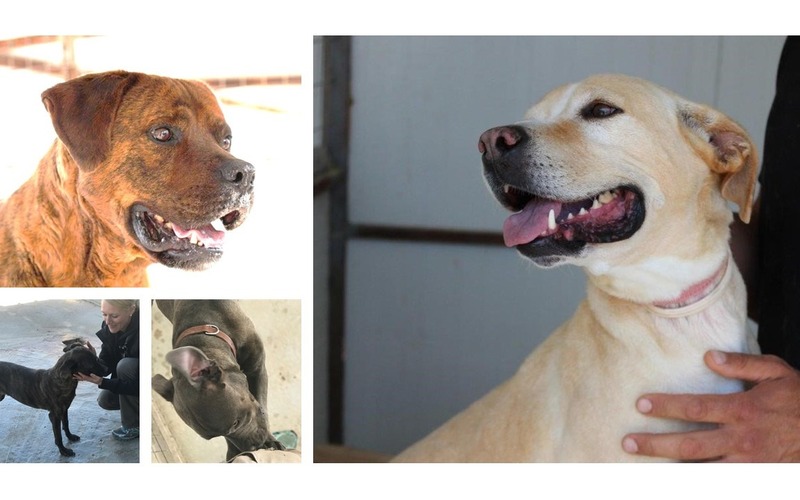 Help us to save four amazing lives and prevent them dying in the shelter! Greece has 1 million abandoned and stray dogs that fight for survival on the street. Our mission is to drive local public policy initiatives to eradicate the root-cause which is irresponsible dog ownership. In the meantime, we support shelters that comply with specific guidelines that we have laid out in our “Bill of Rights”. The shelter we support in Aegina, Greece, hosts several pit bull mixes, one of which will be a therapy dog. All of them are super friendly, get along with all other dog, love children and are HIGHLY ADOPTABE. But none has any chance of getting adopted anywhere in Europe as most countries have a pit bull ban. Locally in Greece it is impossible to find good families with so many stray dogs on the street. The pit bulls in the shelter are aged 3-5 years old. Whilst the shelter is one of the best in Greece and they get a lot of love and care, most of those dogs will not have a chance to ever live a life in a family. We don't want them to spend all of their life in a shelter and hence are trying to help to get them to the U.S. in order to allow them to experience the warmth of a family. All of those dogs are HIGHLY adoptable. Zero Stray Pawject is a 501(c)3 US non-profit. We want to help 4 of these pit bulls to find their loving homes in 2018. Two of these dogs have homes already lined up and all we need to do is get them from Greece to the U.S. Unfortunately, there are very few airlines that fly pit bull mixes to the U.S. because they are considered a dangerous breed. 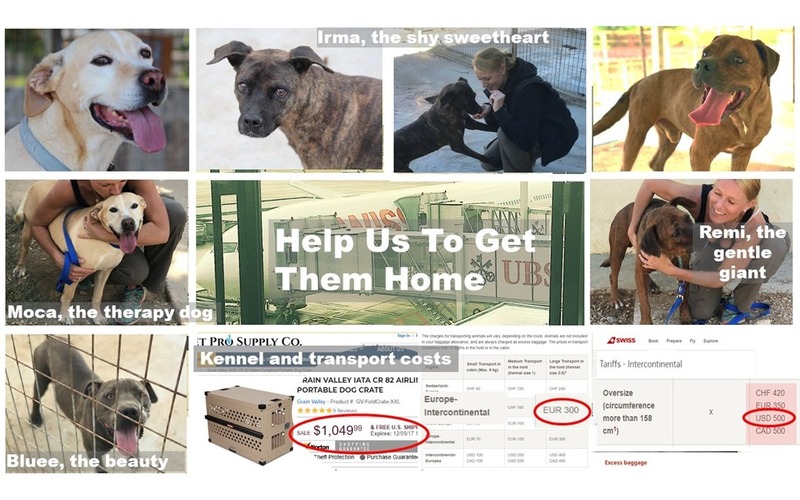 Total costs for placing Moca, Remi, Irma and Bluee with a loving forever family is therefore USD 4,640. The costs exclude the flight and hotel accommodations for the human escorts -- Zero Stray Pawject founders will pay these out-of-pocket. Can we get those amazing dogs into loving homes in 2018 ? Please consider donating to our cause. You can visit our website and Facebook page & watch while we grow, or help us grow by making a donation. Zero Stray Pawject is a 501(c)(3) non-profit organization.